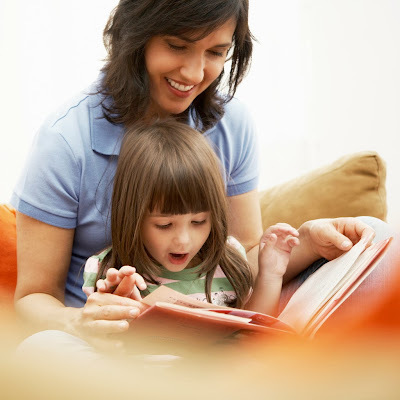 This article will cover the impact sensitive mothering (Ainsworth in Smith, Cowie & Blades, 2003) has on child development, and its relevance in building a positive connection between mother and child. I will examine the implications of Bowlby’s attachment theory (Bowlby, 1988), Ainsworth’s research, Erikson’s psychological stages of personality development (Erikson in Stevens, 1983) and other relevant research to understand the role of sensitive mothering in developing essential emotional and social skills of three to five year olds and adults. Sensitive mothering relates to the quality of the interactions between mother/primary carer and child (Smith, Cowie & Blades, 2003). Therefore, a sensitive mother is very connected and responsive to her baby’s signals, interpreting them correctly (Ainsworth in Smith, Cowie & Blades, 2003). Her responses are prompt, showing an emotional and physical availability for the child, positive communication, cooperation and stimulation of the child (Macleod-Brudenell & Kay, 2008). On the other hand, an insensitive mother tends to be self-centred, focusing on her/his own needs and activities and interpreting the child’s signals (over-stimulating or rejecting the child) according to them distorting the implications of the child’s communication or not responding at all (Ainsworth in Sylva & Lunt, 1989). Research (Ainsworth & Bell, Schaffer, Trevarthen & Richards, Stern in Sylva & Lunt, 1989) shows that the mother’s early responsiveness and sensitivity to the needs of the infant lay the foundations for the child’s later social and emotional development. Thus, babies who were not deprived of care and affection, physical contact and timely responses to their needs, developed a stronger emotional bond to their mothers, a sense of trust which enabled them to explore their environments and positively relate to others. This was studied by Bowlby through observation of the behaviour of children in different situations, their feelings and reactions (Bowlby, 1988). His first study, Fourty Four Juvenile Thieves, Their characters and Home Lives, was based upon research carried out on juvenile offenders and their childhood experiences. Bowlby discovered that one of the things the young adolescent boys had in common was deprivation of maternal care, which he linked to the affectionless nature of the boys, and their later misbehaviour (Bowlby, 1988). Bowlby also studied hospitalised children, bringing attention to the suffering of young children separated from their primary caregivers. Separated children exhibited a sequence of responses such as protest, despair, denial and detachment, lacking responsiveness when united with the parents and keeping and unconcerned appearance (Bowlby in Barnes, 1995). This study further consolidated his view on the maternal role in healthy child development. Bowlby also published Maternal Care and Mental Health as he was asked by the World Health Organization to prepare a report on homeless children. He concluded that the love and care of mothers in infancy was vital for healthy social and emotional development (Bowlby in Macleod-Brudenell & Kay, 2008). Bowlby stated that mother love in infancy and childhood is as important for mental health as are vitamins and proteins for physical health. His later work, The Nature of the Child’s Tie to his Mother, published in 1957, was influenced by the works of Lorenz and Harlow (Bowlby, 1988). Lorenz’s studies on ducklings and goslings showed two major discoveries which Bowlby thought could also shed light in early human development. The first was that there was a critical period (Lorenz in Barnes, 1995) during which young birds and mammals learn which object to follow, a process known as imprinting (Lorenz in Barnes, 1995). Usually, the mother is the first moving figure which the babies encounter, thus being imprinted on the mother has a major role in the survival of the baby. The second finding was that in some animal species a strong bond to a mother-figure can develop without the intermediary of food, as the ducklings and goslings were able to feed themselves. Further support of Bowlby’s theory came from Harlow’s studies on rhesus monkey. He observed that when infant rhesus monkeys were separated from their mothers and isolated they became anxious and disturbed, were scared of other monkeys and displayed aggressive or withdrawn behaviour, an irreversible process after the age of 3 months (Harlow in Barnes, 1995). By applying these animal studies in his investigations of young children, Bowlby was able to explain the impact maternal deprivation has on them. He suggested that babies too have a critical period, from 6 months to 3 years, during which the presence and quality of maternal care determines the attachment behaviour (Bowlby, 1988) of the child, which is “any form of behaviour that results in a person attaining or maintaining proximity to some other clearly identified individual” (Bowlby, 1988, pp. 29). Therefore, the child who receives sensitive and responsive caregiving develops a sense of security and a positive attachment with the mother or other caregivers. Ainsworth worked with Bowlby and suggested attachment could be measured using a laboratory strange situation test (Ainsworth in Smith, Cowie, & Blades, 2003). The test is comprised of seven short episodes (with infants aged 12 – 24 months) which occur in a comfortably designed room, during which the mother and the child meet a stranger. After a brief interaction of the stranger and the infant in the presence of the mother, the mother and the stranger alternatively leave the room, then return. Analysing the children’s reactions, Ainsworth distinguished between different attachment types. The secure attachment (type B) (Ainsworth in Papalia, Wendkos-Olds & Duskin-Feldman, 2010) is characterised by babies crying or protesting when the mother leaves and happily greeting her when she returns. They use the mother/primary carer as a secure base to explore, but will periodically come back for reassurance. They are mostly calm and compliant and have rare anger outbursts. The avoidant/anxious (typeA) attachment (Ainsworth in Papalia, Wendkos-Olds & Duskin-Feldman, 2010) is characterised by babies rarely crying when the mother leaves and avoid the mother upon her return. They tend to be angry and not turn to their mothers when in need. Ambivalent/disinterested (type C) attachment (Ainsworth in Papalia, Wendkos-Olds & Duskin-Feldman, 2010) is shown by babies having a conspicuous contact and interaction-resisting behaviour in the reunion episodes. They become anxious before the mothers leave, and very upset with the separation. When reunited, they seek contact with the mother but in the same time reject it. Later research (Main & Solomon in Papalia, Wendkos-Olds & Duskin-Feldman, 2010) identified a fourth type of attachment, the disorganized or disoriented attachment (type D). These babies do not show a clear and consistent pattern of behaviour, but often bizarre responses to separation and reunion: happiness of reunion followed by rejection, disrupted, insecure gestures, seeking closure with the stranger at the reunion rather than the mothers. Ainsworth and Bowlby advanced the hypothesis that based on its mother interactions the infant will elaborate an internal working model (Bowlby, 1988) of himself/herself and his primary caregiver(s). These working models includes the previous experiences of the child in term of communication and general interaction with the primary caregiver and projects these past experiences as future expectations from him/her. Thus, securely attached children will build up an internal working model of their primary caregiver as available and responsive to their needs. Insecurely attached children are not only emotionally distressed, but also construct internal working models to help them cope with rejection and other forms of insensitive mothering (Ainsworth in Barnes, 1995). According to Bowlby this remains unchanged throughout life. Avoidant infants eventually learn to block off the information which leads to the emotional distress. They will eventually stop screaming and inhibit the emotional experience (Ekman in Branes, 1995). This is the way avoidant children protect themselves from rejection, by showing little emotion and avoiding the mother on reunion. In the long term, this will cause difficulties in establishing close relationships with others. Ambivalent infants learn to adapt by adopting an opposite behaviour. They intensify their crying until the primary caregiver will appear to calm them, but if the pattern persists, these babies will be self-centred, focusing on their own feeling and needs at the expense of mutual sharing. Ainsworth (in Barnes, 1995) suggests that they will build an internal working model of the caregiver as inconsistently available and responsive. The internal working model of the infant is correlated with the concept of fundamental trust, (Erikson in Stevens, 1983) formulated by Erikson. Erikson developed a psycho-social development theory charting the human life cycle in 8 distinctive periods. Each is characterized by a series of pair attitudes (Erikson in Stevens, 1983) towards life, the self and other people. Until adulthood a child goes through: basic trust versus mistrust (0 to 18 months), autonomy versus shame and doubt (12 to 18 months to 3 years), initiative versus guilt (3 to 6 years), industry versus inferiority (6 to puberty) and identity versus role confusion (from puberty to adulthood) (Erikson in Papalia, Wendkos-Olds & Duskin-Feldman, 2010). The critical feature of the first stage is the total dependence of the child on those who care for him/her (the mother/primary carer). The satisfaction of his/her needs and the comfort of his/her existence lays in the hands of the primary caregiver and his/her ability to sensitively respond to them. Similar to Bowlby and Ainsworth’s finding, the quality of the interaction projects future expectations and a sense of basic trust or mistrust towards the self and the world (Erikson in Stevens, 1983). However the child also needs a reasonable amount of mistrust to be able to protect him/herself from danger. Successful completion of each stage results in the development of certain virtues (Erikson in Stevens, 1983) or strengths. In this stage the virtue developed being hope “the enduring belief in the attainability of primal wishes” (Erikson in Stevens, 1983, pp 44). If such a virtue is not attained, the outcome is a state similar to that of insecurely attached children, of excessive caution, withdrawal and inability to trust others or oneself. Failing to positively complete the stage, the child may also become depressive and his/her future stages of development might be impaired. The securely attached infant will develop trust in those around him/her and in their environment. Further research (Goldfarb, Rutter in Sylva & Lunt, 1989, Tizard main & Cassidy in Barnes 1995, Matas, Arend & Stroufe, Vartner, Kobak & Sceery, Hazan & Shaver, Cassidy & Kobak y in Bowlby, 1988, Main et all, Lewis Waters, Fonagy, Phelps in Smith Cowie & Blades, 2003) determines how early attachment impacts the social and emotional development of children and adults. Conducting a variant of the strange situation Main & Cassidy (in Barnes 1995) analysed the behaviours of 3 to 6 year olds finding that children who have had positive experience with relationships are likely to see themselves as lovable and worthy, will expect others to like them and will have no difficulties in developing close intimate relationships with others. Those who have had negative relationships with their main caregivers, who have been rejected, or who have not met comfort when in distress, will most probably develop a low self-esteem and will have low expectations in relationships acting in ways which are likely to provoke rejection. Disorganised attachment was also found to predict later aggressive behaviour and child psychopathology (Van Ijzendoorn et al. in Smith, Cowie & Blades, 2003). Carlson (in Smith, Cowie & Blades, 2003) also found that disorganised attachment at 24 and 42 months predicted later behaviour problems in preschool, elementary school and high school. Taking into account the previous studies on attachment formation it may be that the disorganised attachment pattern will be found as the most illustrative example of development of severely antisocial behaviours in life as a result of severe maternal insensitivity. To measure attachment in older adolescences and adults, Main et al (in Smith Cowie & Blades 2003) developed the Adult Attachment Interview, a way of understanding the internal working models of parents with respect to their attachments. They believed that if mothers recollect positive childhood experiences, these experiences will be projected in their relationships with their own children. Thus, they have identified four main patterns: autonomous: persons who openly and objectively talks about their experiences even though not all of them were positive, dismissive: persons who regards attachment relationships as of little value or concern, enmeshed: persons who still actively struggle to please their parents, and unresolved: persons who have experienced trauma and have not yet come to turns with it. The study showed that the childhood experiences of the parents and the quality of care they received influenced their own parenting styles. We can conclude that sensitive mothering leads to secure attachment which, in turn leads to trust in the caregiver and in the environment. Insensitive mothering leads to an insecure attachment and a lack of trust. Securely attached babies do not only develop trust in the mother but also in their own capacities to obtain what they need from the external environment. Lacking to provide warm and caring mothering sets different internal working models for the children to cope with these negative emotions. These models may also predict future behaviour through later childhood, adolescence or adulthood.